Bepi-Colombo is a space mission that will explore Mercury and its environment. Bepi-Colombo is a space mission that will explore Mercury and its environment. 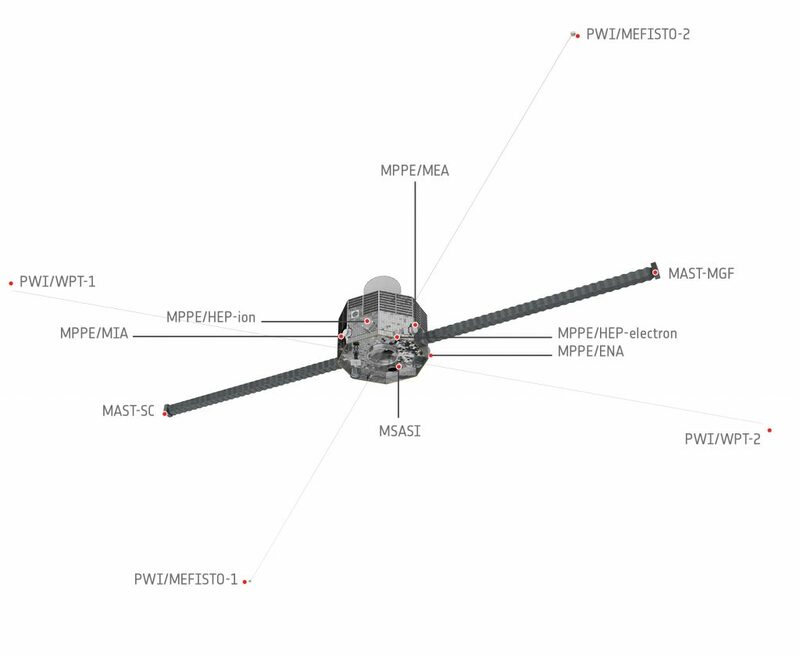 It is a collaboration between the European (ESA) and Japanese (JAXA) space agencies, responsible for the two space probes MPO (Mercury Planetary Orbiter, ESA) and MMO (Mercury Magnetospheric Orbiter, JAXA). 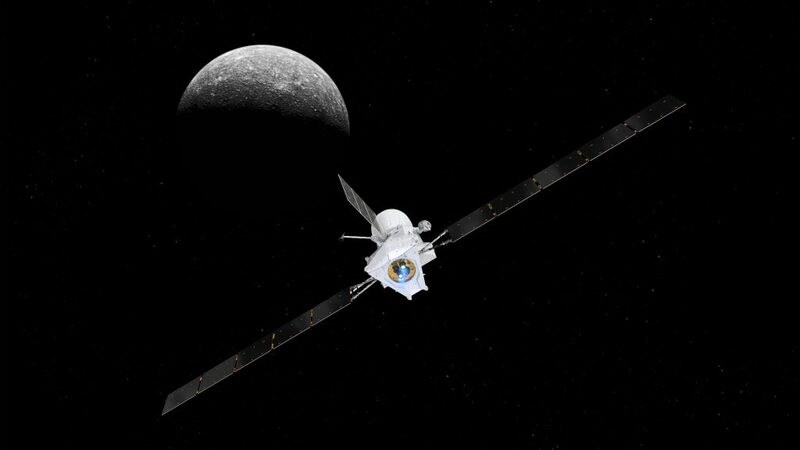 BepiColombo has been launched from Kourou in October 2018 and will arrive at Mercury end of 2025. Artist’s impression of Bepi Colombo approaching Mercury. Credit ESA and NASA. The MMO probe will allow the detailed study of Mercury’s magnetosphere and its interaction with the solar wind. MMO Instruments view. Credit image ESA. The LPC2E is involved in the design, operation and science exploitation of one of the experiments of the Plasma Wave Investigation Consortium (PWI) embedded in the MMO probe. The AM2P experiment is designed to measure the plasma density (and estimate the electron temperature) in Mercury’s ionised environment.